We want the very best for our kids and I think are often expected to have all the answers immediately - which to be very honest, is completely unrealistic. I remember when I first started teaching my kiddos French - I had NO idea what I was doing. Thankfully google taught me a little but I had to work out so many bits and pieces along the way. There was no roadmap - I just knew that FUN had to be in the priority, and if nothing else happened in our household (cleaning included), we would play and try and introduce some new words, somehow. I think back to all those years ago, to how strong my kids French might have been if I'd been given the steps to walk and the tools to outwork them with. This week, I took some time to stop and chat with some of the worlds leading experts when it comes to teaching little kids a language. Their advice would have been so helpful all those years ago, but I know without a shadow of a doubt that these tips will change many families worlds and hopefully empower their kids in their language journey to new levels. 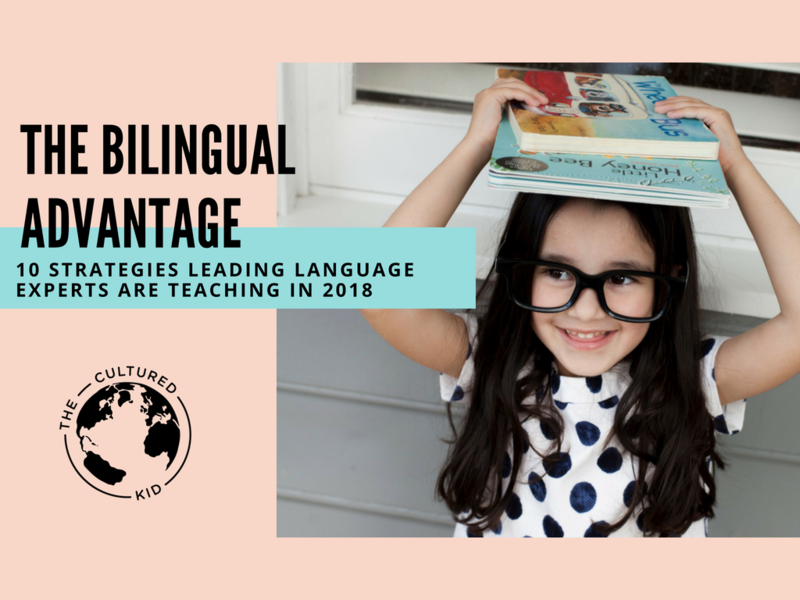 The “The Bilingual Advantage,” is a free 28-page PDF, which is jam-packed full of wisdom not just from educators but also from parents who have also successfully raised bilingual children - without knowing the target language. 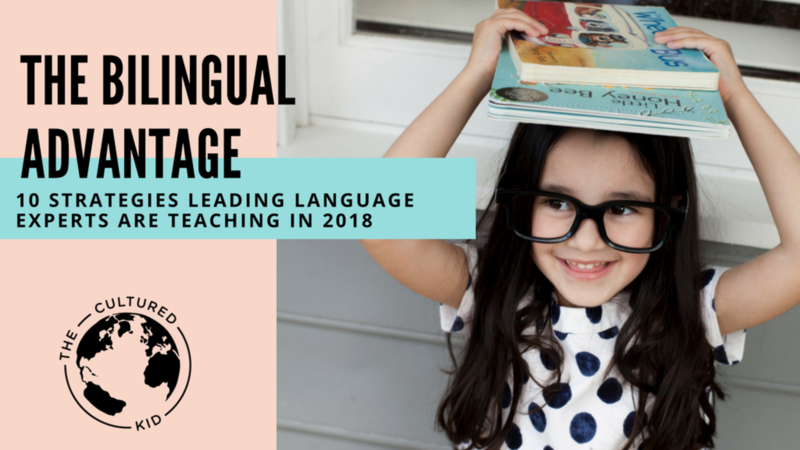 It provides actionable tips for parents and caregivers who want their children to grow up with a bilingual or multilingual edge and I hope you find courage as you read and take steps forward in your language journey with your own kids! You can get your hands on a copy here! Are you raising a bilingual child? Subscribe to stay up to date with related articles and download our FREE Checklist - 10 Vital Tips for Teaching Your Child a Language to help you build a solid foundation for language learning at home. Join our FREE Online Community and support group! Teach Your Child a Language by visiting The Cultured Kids Club for French, Spanish, Italian, Mandarin, German and English resources.